These Vanabode travel photos support detailed destination pages that are part of the Vanabode Network and book. Click Vanabode to learn how to travel forever in America on $20 a day including food, lodging and transportation. See Destinations for our experiences at 1000's of cool places. Washington's Cape Flattery is part of the Olympic Peninsula and within the lands of the Makah Indian Tribe. We traveled through Washington and Oregon area in mid June just before the summer crowds started showing up. You can see by our coats and hat that the temperatures were cool even in the month of June. And no matter if we were in Port Townsend or Shi Shi Beach the wind was constant.. Getting around the Olympic Peninsula, dining and dealing with lodging was easy as pie because of our Vanabode lifestyle. 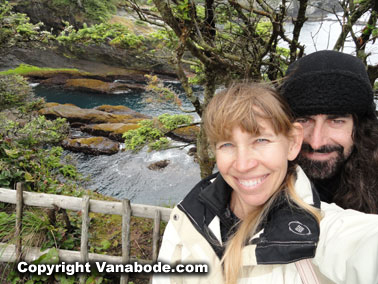 See where we stayed on the shores of the Straight of Juan de Fuca. 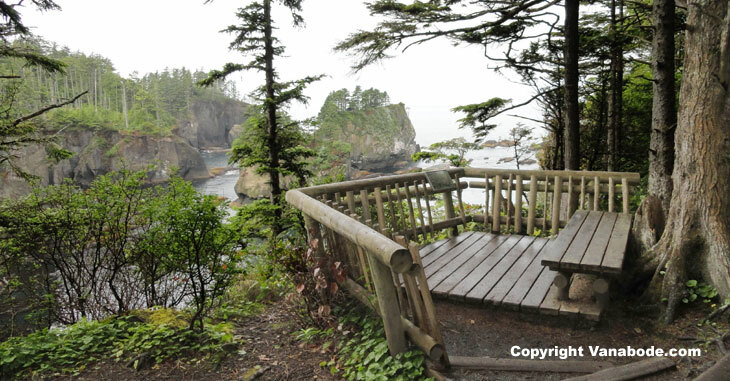 Above: Picture perfect sitting area at the northwestern most point of the U.S. This would be a great time for a picnic while enjoying the unique views of the Pacific while watching seagulls and puffins nesting and fishing at Cape Flattery. Above: View of Cape Flattery looking south. At two different times of the year you can see the humpback whale and the gray whales during their migration either going south to Baja or north to Alaska. Orca whales are more typically seen among the waters of Puget Sound and the San Juan islands. Above: Picture of seagull nesting on cliff above an ocean cave. 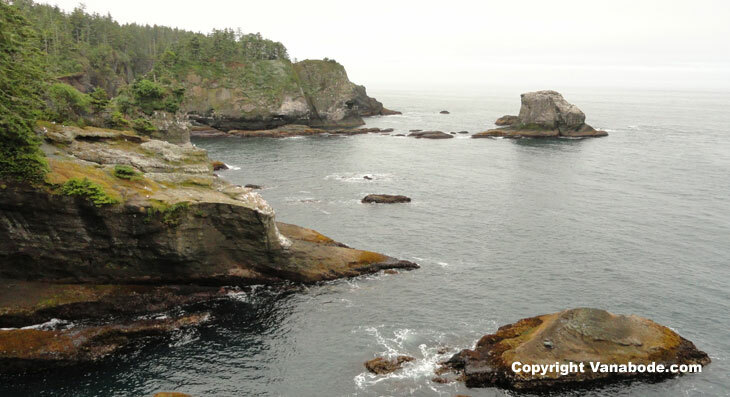 Cape Flattery provides a habitat for hundreds of bird species. The most prized sightings are the Murrelets and Murres. Shore birds, gulls and ducks are the most plentiful, which is no surprise. Migrating through this area in the spring and fall months are Trumpeter Swans, Canadian geese, Sandhill cranes, hawks and falcons. From January through April hundreds of Bald Eagles can be seen along hwy. 112 between Port Angles and Neah Bay. 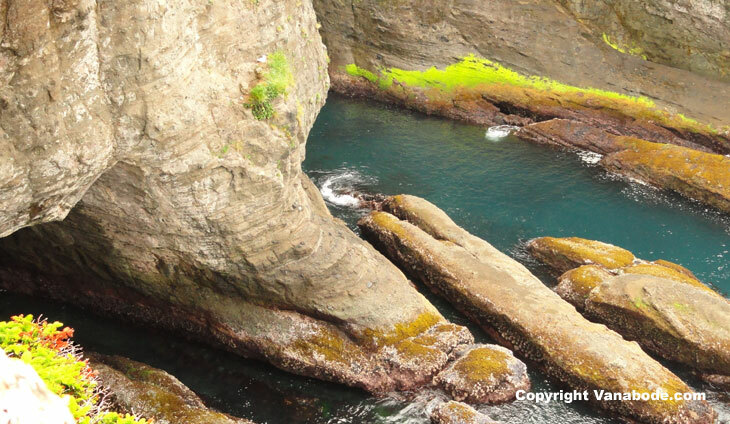 Above: Picture of sea caves taken from observation deck during Cape Flattery Washington vacation. These caves can be explored using kayaks. Above: Salal blossoms, aka Gaultheria Ovatifolia, in bloom along trail to Cape Flattery overlook. It is a plant that is indigenous to the pacific northwest. The blueberry-looking fruit of this plant are edible. Above: You can see the trees roots weaving in and out of the earth for support. 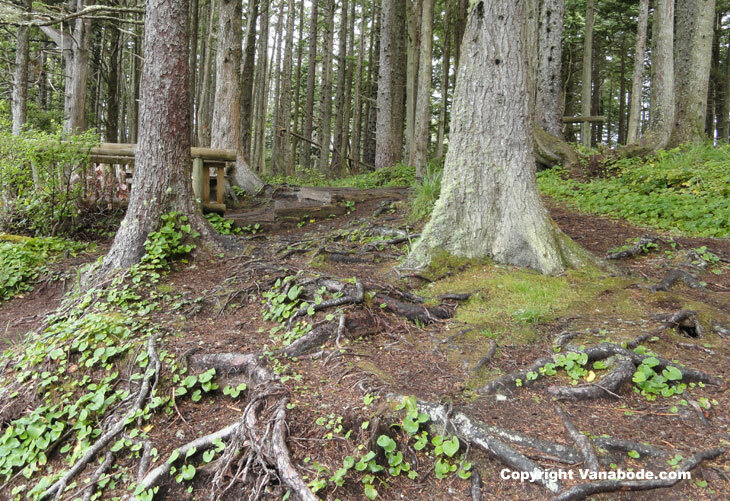 This is just another angle of the forest walk to the end of Cape Flattery. 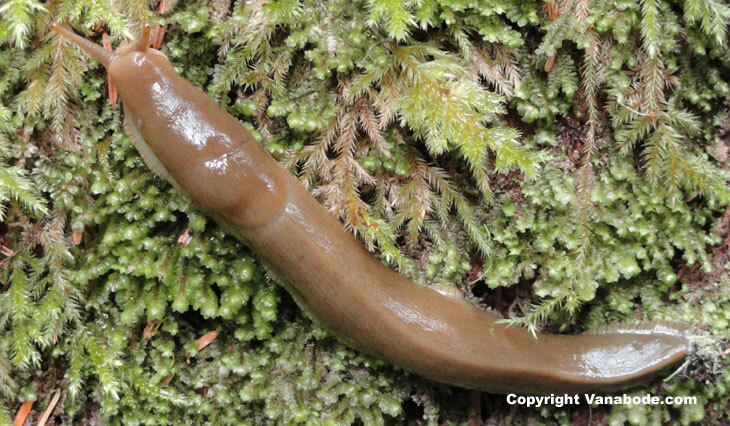 Above: In all of the forests along the Pacific Coast from the California Redwoods to Cape Flattery in the northwestern most point of the U.S. you will see these while hiking. Above: Picture of Cape Flattery Lighthouse began operating in 1857. Tatoosh Island is 20-acres and is only 1/2 mile off the cape. 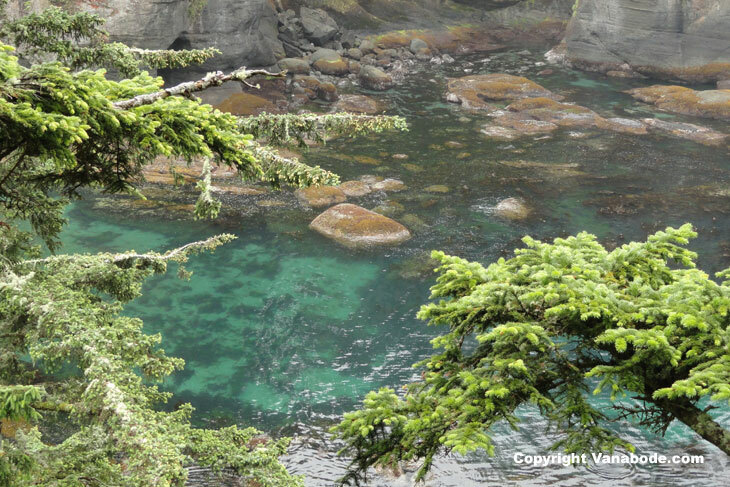 It was once used by the Makah Tribe as a camp for fishing and whaling but is now run by the U.S. Coast Guard. Above: The surprising beautiful teal blue waters make this destination even more spectacular. 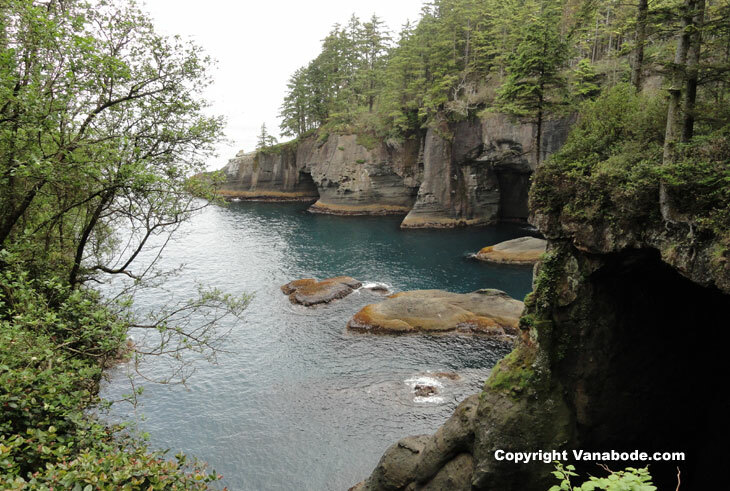 Diving the waters of the Olympic Peninsula especially around Cape Flattery is a sport that intrigues many people. The summer water temperatures around these rocks are about 45 degree F.
Click Washington Vacation camping details for more information and pictures.